hillviewasb.com: 1st Duck Coupon Day Thursday! 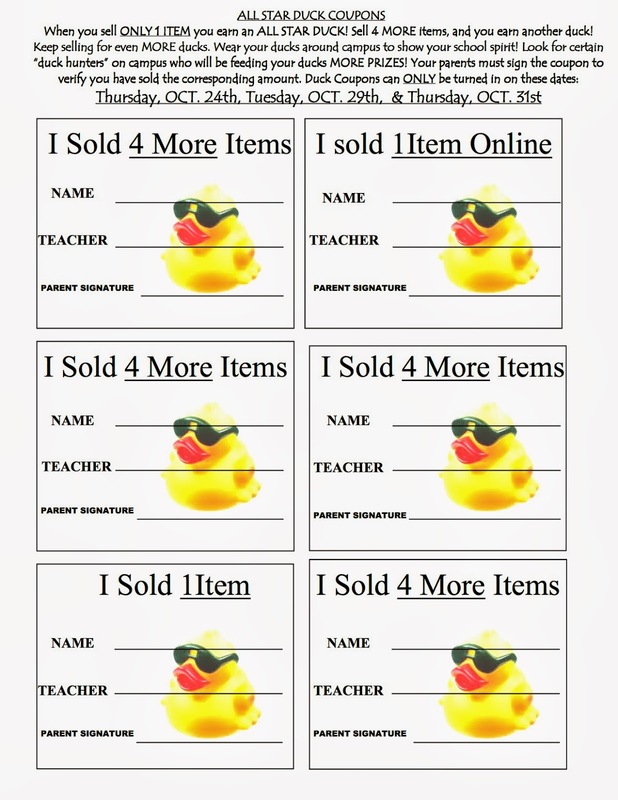 1st Duck Coupon Day Thursday! Okay, Wednesday was a busy day! Over 200 students turned in their "little book" and sent 10 e-mails. They collected duck lanyards, their first duck, their spy glasses.....and some who did both even got the money pens. Did you hear that students walked away with $1, $2, $5, $10, $20, and one very luck student even got a whopping $100!!! The ONLY day to bring in your paper order forms and money is Tuesday, November 5th. Keep all your checks, cash, and order forms AT HOME until the turn-in date on November 5th. But what can you do in the meantime? Well, collect your ducks of course!! What to do? Just cut out the duck coupons (inside your packet, or print one by clicking the picture below), fill it out including your parent's signature to verify you have sold the order(s) and then bring it Thursday to the Blue Student Center Thursday at lunch! 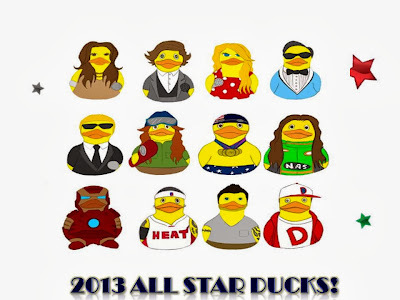 Just like today, we'll create an organized line of students trading their duck coupons for a new all-star duck! The more you sell, the more ducks you can collect and wear!! Why collect? Well, for starters, because they are awesome!!! But also, the duck feeders love to target the ducks during 4th period, lunch, and maybe even Qu3st! To get "fed", you'll have to be wearing your duck lanyard at all times. The more ducks you have....the more you get fed! Need another Duck Coupon sheet? 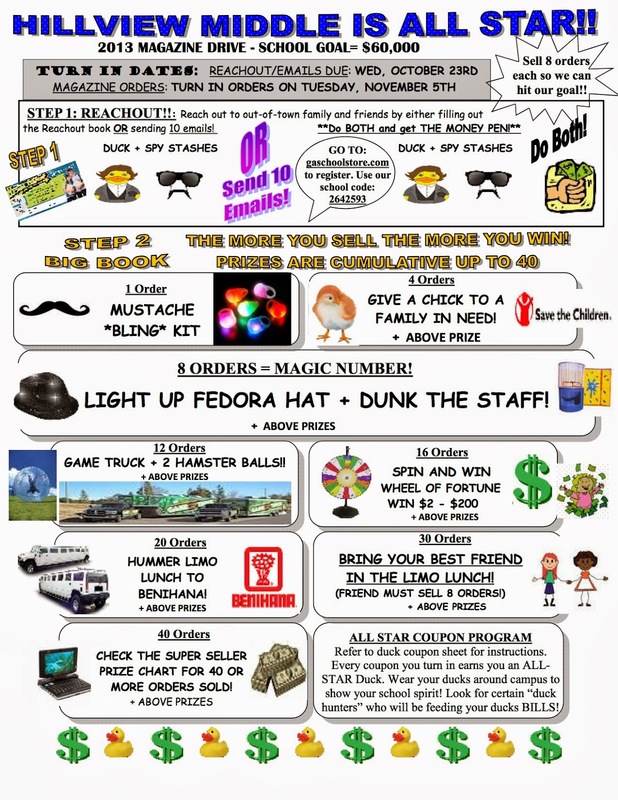 Click below to print your own copy or come to the office and see Mrs. Pebet to pick up another coupon sheet. It's time to start earning the big prizes!!!! How many can you sell? i am soooo ready! yaya! We want to go in the hummer limo! 2nd Duck Collection Day Tuesday! Earn Block H Points - Write for HillviewASB.com! Hillview Flag Football Team Wins Again! Twin Day! Duck Day! Twin Day! Duck Day! 6th graders rocking College Day! Ducks? Cash? Hummer Limo Lunch? THE PRIZE SHEET! 6th grade leadership on Pink Day! Instagram @HillviewASB #HVSpirit - Spirit Week! 1st Annual Hillview Pumpkin Carving Contest!! !